If someone finds it creepy, wouldn’t it just be easier for them to look away than for a breastfeeding mother to go somewhere and hide to simply feed her child? I don’t see what the fuss is about because I breastfeed countless times a day, and have been doing so non-stop for 3years now. It is a fact of life for me, just as breathing is. I do it because it is the right thing for me to do for my kids. I do believe culture plays a part – while the culture in my country is shifting slightly towards de-normalization of breastfeeding, we are also still very much shielded from blatant sexualization of the breasts. So breasts, in general, are still seen as a source of food for babies. Breastfeeding moms have very little support, comments like yours don’t help the cause. So agitated, I’m shaking! Literally! This Scottish lady is hilarious! Agree to disagree OH PLEASE. I don’t care who formula feeds. I have close friends and family members who formula feed, I have close friends and family who breastfeed. But the fact of the matter is, it is irresponsible for a formula-feeding mother to tell even one other person (let alone an entire nation, as in this case) about the wonderful magical substance that is formula whilst putting such derogatory connotations to breastfeeding – scientifically proven as the best choice for any baby, bar none. Also, the societal pressure to use formula far outweighs the pressure to breastfeed. Breastfeeding moms do not have the billions of dollars that formula companies do to promote what they feel is the best nutrition for babies. Formula companies shove their agenda down your throat (and attempt to do it literally down your baby’s throat) to earn more money, whereas the “pressure” that medical professionals put on new mothers/mothers who have just given birth, comes from a MEDICAL PERSPECTIVE, just as those medical professionals would recommend the best form of treatment for a patient’s medical malady. Medical professionals and lactation consultants are there to encourage women to breastfeed post-birth because they know for a fact that breastmilk is best for babies, and they also know that the first few hours, days and weeks of breastfeeding are tough and that the mama needs support from all sides. Frankly, I believe, like I said in the blog post that started this, that it all comes down to your frame of mind and point of reference. If you see breasts, first and foremost, as sexual objects, and cannot fathom using them for their “secondary” purpose of providing nutrition to your child, then you will clearly have a skewed perspective on breastfeeding. What’s the other option then? Formula, of course. Well, what about facing your issues head on and perhaps overcoming it, and be able to provide the best nutrition for your child? Yes, it is more “difficult”, but I for one think its worth it. I know moms who have battled all sorts of things in order to breastfeed – some have medical issues, some want to breastfeed an adopted child, some battled pain and difficulty in the first few weeks – and yet they all came through and breastfed their child(ren). What did they all have in common? They sought out professional support and the support of other breastfeeding mothers, and they all had fierce determination. I also know some people who have lost the battle – all of them had a “friend” who provided glowing recommendations on formula. Human beings rejecting our own (superior!) milk in order to feed our young another species’ milk, shows the quintessential weakness of humanity. A lot of us don’t trust ourselves, and those of us who don’t, seek redemption in the form of recruiting others to our cause. For the sake of babies everywhere, don’t listen to those who can’t see beyond themselves and their issues, even for their children. Listen instead to the ones who said YES to doing right by their children. By the way, I myself have had difficulties breastfeeding – from my eldest son’s NICU stay, to breastfeeding through pregnancy (and the inherent and deep discomfort) throughout. Read my posts under the label “breastfeeding” to know more. Trust me, I am not judging you from a pedestal. I am there with you, mama. I just don’t understand why you would hate on mamas like me who pushed through the “discomfort” to breastfeed our children. To each their own. Yes, I believe in this. Women have fought hard to have the right to make our own choices about all aspects of our lives. But in this case, I am not condemning this woman's choice not to breastfeed. I am condemning, first and foremost, her appalling choice of words to describe something that she never even tried to do, and secondly, her irresponsible decision to write an article that desperately tries to justify her decision not to breastfeed and, consequently, cause other like-minded individuals who may have been on the fence before, jump onto her side because it appears to be so much more convenient. Alaa...missed it...but well done adrin..proud of u! Aunty, can download the podcast la ;D Link on my FB. Thoughts, questions, suggestions? Leave a comment here! Welcome to my blog! My name is Adriana and I am mama to three boys, living in Melbourne, Australia. 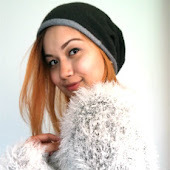 I blog about motherhood, fashion, babywearing, and other GlamMama-related things. E-mail me to connect and collaborate! 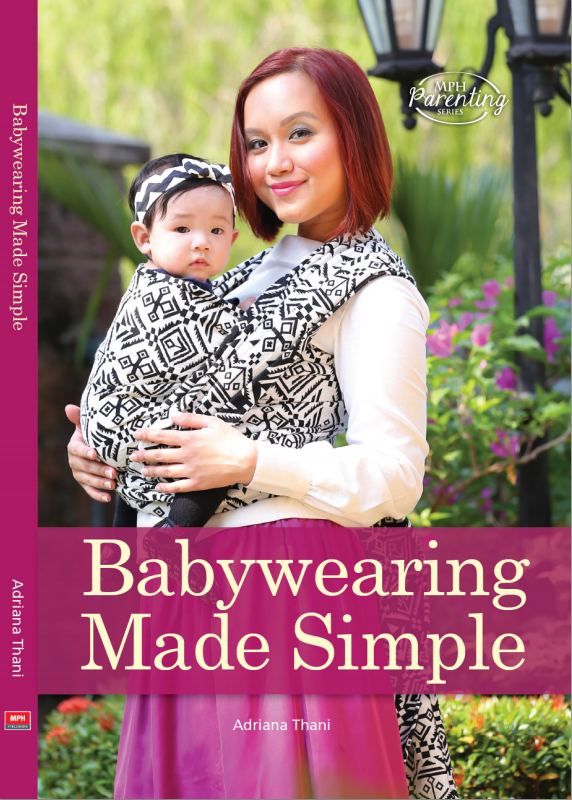 My book, Babywearing Made Simple, is out now! You can purchase a copy HERE. This website and its contents is copyright of Adriana Thani AKA Nik Noradriana Thani © The Diaries Of A Glam Mama 2008-2016. All rights reserved. Logo by Dan Caldwell © All rights reserved.